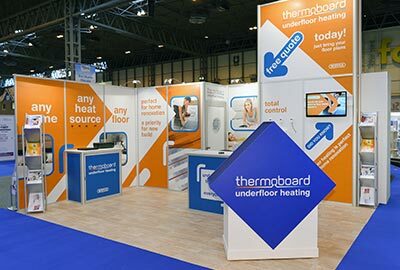 Modular exhibition stands represent many benefits, offering an entirely flexible solution that can be adapted to suit your individual design requirements and your budget too! Our team here at Warrens will listen to your sort and long term requirements and advise on the best approach for your business. 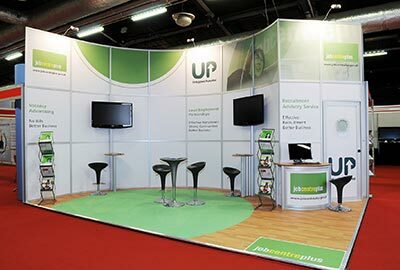 You may want to purchase a stand for ongoing events, with the option to hire additional elements as needed, or hiring a modular exhibition stand to suit a one-off exhibition may represent the best overall value to you. 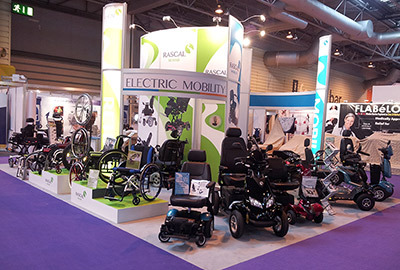 With our flexible pricing and our commitment to delivering stands to suit the client, not ourselves, we’ll ensure that you get the right modular stand, at the time you need it, with full support from start to finish. 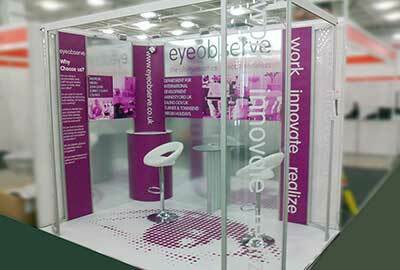 A modular stand is an off-the-shelf solution that is made up of individual components which are used to design and create an exhibition stand tailored to suit each client’s specifications. The modular stand solution is very cost effective; robust and of extremely high quality, it will last as long as you could possibly need. It also allows a great deal of flexibility because you can redesign and reuse the same elements in different configurations with each use, just like a giant Lego kit! 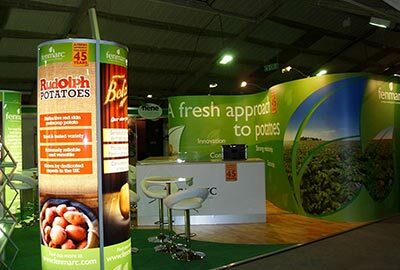 Its adaptable nature allows you to purchase or hire one solution to fit different stand spaces, whilst retaining branding consistency using your existing graphic panels. Adding new modular elements over a number of shows allows our clients to adapt and develop their stand year on year as their business grows. The graphic panels fit snugly in to channels in the uprights and beams that make up the stand, providing maximum graphic impact for your visuals. 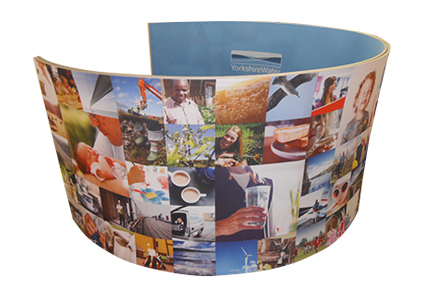 Our team of expert graphic designers can create the artwork for your graphics from scratch or, if you prefer to use your own design team or agency, we can offer advice and assistance to ensure that you get the best from your modular stand graphics. 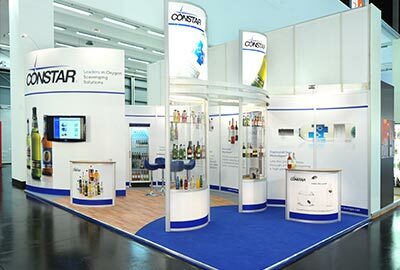 Depending upon your budget and your specific requirements, when you come to Warrens Display for your modular exhibition stand you have the option to hire or buy the component parts. We can advise on the best solution for your budget. 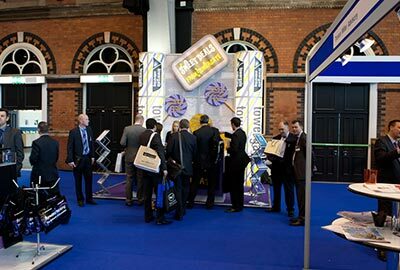 For example: if you attend 4 exhibitions each year and 3 of those are of equal importance but you really want to make a splash at the 4th event, then you can buy the equipment to make up the stand for the 3 events and then just hire the additional elements required to fit the larger stand space. 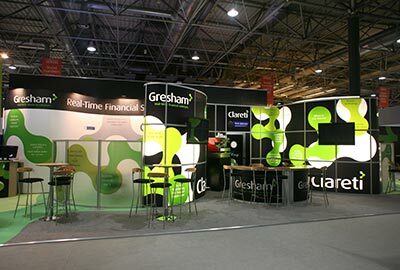 At Warrens Display we pride ourselves on providing modular exhibition stands and display solutions that best suit our clients’ requirements and that will develop and grow with them over time. 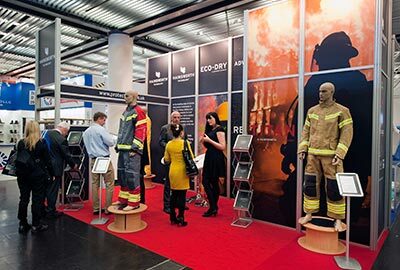 For assistance with understanding why and how to exhibit, click here to download a copy of our Exhibition Stand Design Guide. 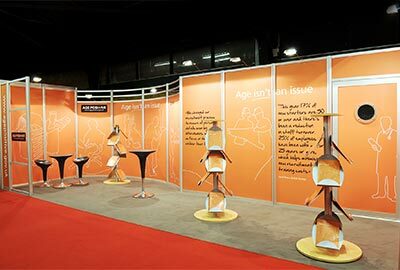 Upon receipt of your brief, the Warrens Display Design Team will create a modular exhibition stand solution tailored to your needs that will provide maximum impact at your event. For assistance with putting together your brief, please click here. 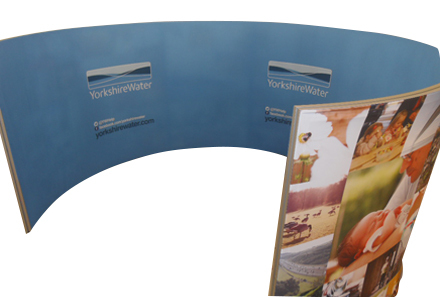 If you’re thinking about using a modular stand at your next event, Warrens Display will help you to create a really inviting and impressive exhibition stand space with a few simple additions. We can fit a raised platform floor on your stand with a carpet or vinyl cover that accentuates and complements your company branding. We also have a fantastic range of furniture and accessories available for you to hire such as bar tables and stools, comfy chairs and coffee tables, reception counters of various dimensions and literature racks to name but a few. 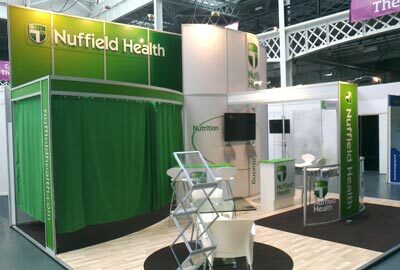 You’ll be amazed at how different modular exhibition stands can look in a stand space that has been carefully thought about and designed.